Mariah came to us part-time in 2015, and given her enthusiasm and proven skills, she has quickly advanced. 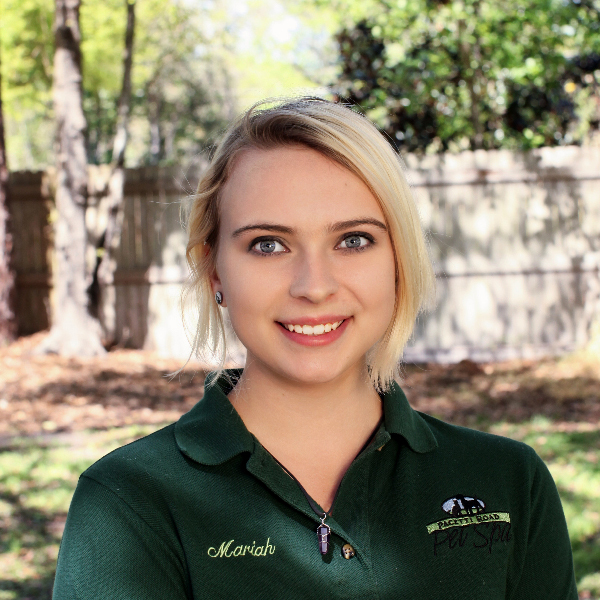 Mariah is dependable and is quick to work additional hours and always has a smile on her face! Her career path points toward Certified Veterinary Technician so she can better serve the community. At home she cares for her two feline live-ins, enjoys music and social networking.